"What matters is how I choose to live my life." 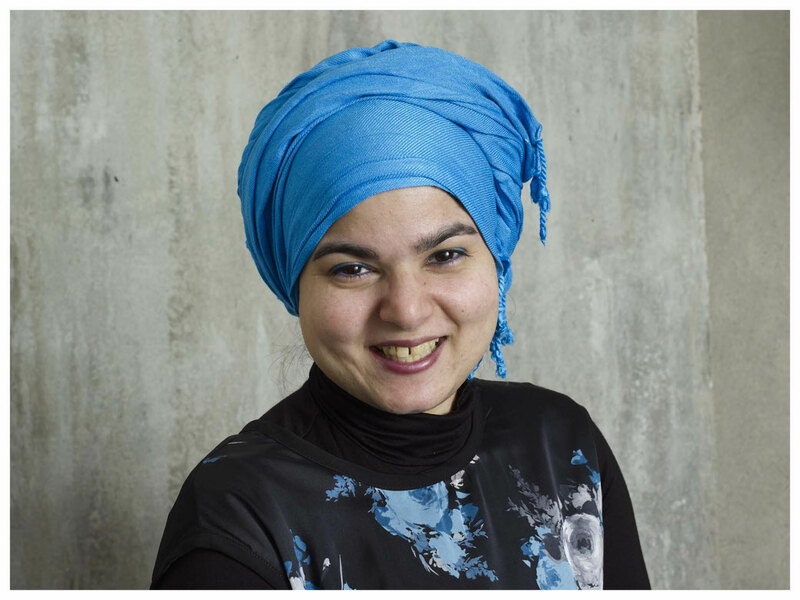 I’m a woman, born missing my right arm below the elbow, a Muslim and have a few invisible health issues. None of that matters. What matters is how I choose to live my life. Hi, I’m Anoushe. I’m a public speaker, paraclimber, trying to qualify for Team GB, work full time and work with a variety of organisations highlighting the plight of those stigmatised by society in order to help them overcome the barriers they face and their own self-limiting beliefs. Over the next few weeks and months you’ll be reading a series of articles from me touching on a variety of subjects. Today, you’ll be getting an insight into my life, how I have become the person I am and hopefully a glimpse into where life is heading. I was born missing my right arm below the elbow. This came as a complete surprise to my parents as nothing was picked up during the pregnancy scans. As with any parent, it’s normal to not know what the prospect of your child is going to be when they look different and in a society that often associates physical difference with physical inability or intellectual impairment. Thankfully they found an awesome resource with Reach, a UK-based charity for children born with upper limb differences. Their motto is “it’s ability not disability that matters” and with that, my parents decided that I would be a normal child, more than that, an achiever. Someone who would not experience the barriers that are so often seen and experienced by people with physical differences. At the age of 4, I was supposed to receive a certificate from a teacher in school. I refused to take it because it would have meant me needing to stand up in front of the class. We discovered I had stage fright and quite a bad case of it. Rather than letting it pass naturally or leaving it to fester, my parents enrolled me into Sri Lankan dancing classes and a few weeks later I was performing a dance in front of a few hundred people in the first ever Sri Lankan dancing show to take place in the country. I also read the thank you speech at the end (dad was next to me to help as I was 4 and reading but not necessarily well). To this day I still experience stage fright before going to give a talk but that experience that my parents gave me taught me that barriers can be overcome. I can do things I’m scared of. As a child and teenager I was a competitive swimmer and into martial artist. I wasn’t an overachiever in anything I did nor a genius but I was determined to give the best that I could. Things started getting complicated as I hit 15 years old as, for some reason, my right shoulder was subluxating, then my thumb. It was so bad that I was told to stop karate and any impact sport while the doctors tried to understand why countless hours of physio and exercises were not stabilising my joints. Little did we know I had Ehler Danlos Syndrome (EDS) which would get diagnosed nearly 15 years later. The sudden stopping of most physical activity was probably the worst thing we could have done with regards to my EDS as the symptoms and management of the condition primarily rely on good muscle strength and tone. The surgery years started as I entered my last year at school, my left thumb twice, my back, on and on. If I wasn’t in physio, I was getting told about the potential of a surgery on a joint that might be needed. I started living in a cycle of fear, what joint next? I didn’t understand what was happening and being at university, I wanted to find a solution or at least understand why my body was failing me. My relationship with my body became antagonistic, I stopped trusting it. And if that wasn’t enough, while I was struggling to recover from back surgery, I got diagnosed with cancer. We don’t know why it happened but it did and because I was only 23 at the time, everything had to be put into my favour by doing a full treatment plan. This meant chemo, radio and medications for a good time after. I was doing my Masters at the time and the only thing I could think was 1) my body has failed me again, I had been betrayed and 2) no way in hell was I going to fail my masters. My body was taking everything from me, it wasn’t going to take that away too. I was broken. Physically wrecked from the surgeries and the treatment. Emotionally exhausted. Mentally not able to absorb anything else. However, something inside me woke up, a fight that I don’t ever remember having in my pre-cancer life. My life changed on the day I got the diagnosis, I was going to make sure I did everything I could to never, ever go through that experience again. As we didn’t know why I got mine, this meant looking at my whole life and lifestyle and changing whatever I could to put as many odds on my side as possible. Food, physical activity, emotional and mental happiness, routine, everything went under the microscope and I started making choices. Nothing crazy or too out there, nothing that I wouldn’t be able to sustain. I finished my Masters on time (yay! ), started working and then moved to London for my next job. I could have chosen not to move but I needed to get away from the medical life that I had for a little while and create the space I needed to start transforming my life. By then I had also started climbing (more on that in the next article) and was starting to make a conscious choice to talk about my life. It started really small, I gave a few talks in the office about lessons I had learnt in my own life from things around discrimination, resilience, how I was overcoming my own beliefs that I couldn’t do things and how I was learning to have a new, healthier relationship with my body. Over the last 18 months or so, things went completely nuts, in a good way. 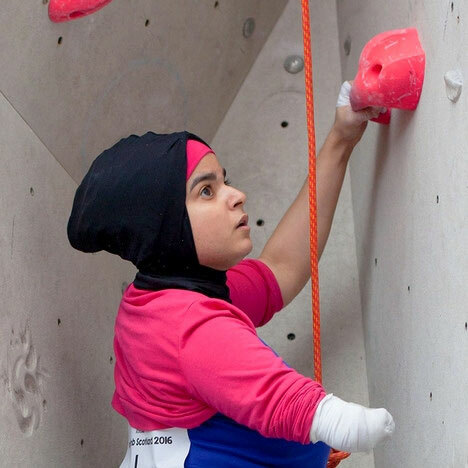 In 2016, I took on some training to see if I could have a decent shot at the British Mountaineering Council’s paraclimbing competitions, little did I know I would go from being a complete amateur to being ranked 2nd in the UK in my disability category by the end of the year. As a consequence of me starting to tell my story in a very candid way and going out of my comfort zone by showing the good, bad and the ugly that life has thrown me, I have managed to show other people going through their difficulties that not only are they not alone, but there is hope if they choose to believe in it. Going out of my comfort zone has been the best decision of my life. I’ve become a social entrepreneur, living a life full of challenge, love, passion, creation, innovation and inspiration. I truly believe that someone can only reach their potential when they are out of their comfort zone, pushing those boundaries, barriers and beliefs back. I have become a role model and advocate for those facing those barriers and their own self-limiting beliefs because I am that person; I am facing those same ones. If I can overcome some of them and tell my story, hopefully others will too. I have chosen to live my life in a way that others - no matter what type of adversity they are facing - see that they are not alone. Life will throw us a hell of a lot of challenges. We have a choice to make each time. I hope that by talking about my journey, people will see that sometimes the harder choice will lead to the better outcome.